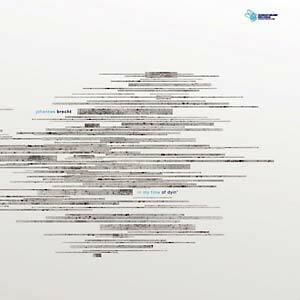 Johannes Brecht follows up his previous Sunday Music release, 2013's Holla EP (SUNDAY 007EP), with In My Time of Dyin', a reflection of jazz and classical minimal music into electronic music. Deep trippy music with a strong swing on the A-side. Cleverly written patterns with a hypnotic vibe. Side B features a live jazz version in 6/8 signature on piano and drums (with the drummer of German pop star Max Herre). When a classically trained musician looks into electronic music and manages to bring together the best of both worlds the results can be very exciting.